Would you buy a Firefox OS device? Would you by a Firefox OS device? 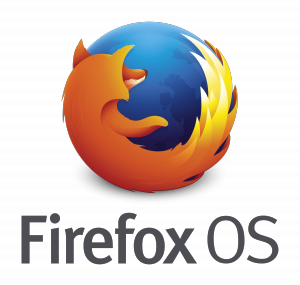 Firefox OS smartphones are mainly aimed at emerging markets, with low-cost devices equipped with modest hardware. If this is the first phone you ever used, you would probably like it. The problems arise when you compare it with its respective Android analogues. At first glance, Firefox OS looks similar to Android, with a basic home screen which has the shortcuts to the dialer, email and messages. When you swipe to the left and right you will find the icons for all the installed apps and the Adaptative Search page respectively. However, the differences appear here, when you search for apps. Because Firefox has no real apps. Instead, Mozilla’s OS uses the HTML5 open Web standard, where the apps we know don’t exist. But to makes things a little bit difficult, Firefox OS also has an app store named the Firefox Marketplace, so the device has two different app stores simultaneously. You can also find some problems with the usability. The fist annoying point is that you can only add contacts from you SIM card of Facebook, if you have a contact list anywhere else, you need to manually enter them. Another complaint concerns the option to add IMAP accounts, which is not available yet. There are also some other questionable features, like the choice of Nokia’s Here Maps as standard, which doesn’t work for driving because doesn’t include turn-by-turn navigation. Massaging also needs to be improved, as is now terribly slow and inaccurate. So, the next versions of Firefox OS need to be highly improved is it want to really compete with Android. Price is everyday less and less decisive, as with great phones like the Moto G at a much affordable price, Firefox OS devices are not such a good choice. Future versions of Mozilla’s OS are highly expected, we just need to wait and see if the next one has correct all these small problems.